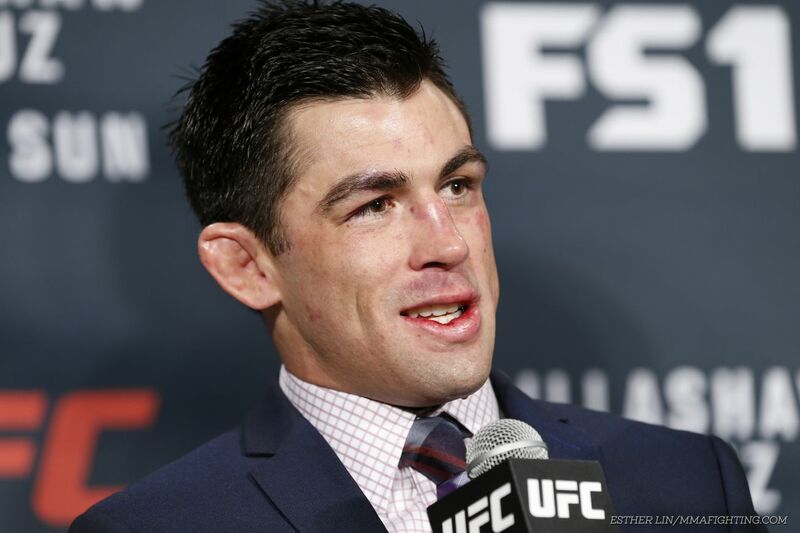 UFC bantamweight champion Dominick Cruz has been making the media rounds ahead of his June 4 trilogy fight against Urijah Faber at UFC 199, however the lead-up to this fight has been a bit different then others of the past. Neither Cruz nor Faber has ever failed a drug test in their fighting careers, and when asked on Monday, Cruz chalked up the accusations to insecurities on Faber’s part. “This is the thing, you can say whatever you need to say about me,” Cruz said Monday on The MMA Hour. “I understand, all is fair in love and war. Like, I get that he is going to come and attack me. I get that he wants to attack my character. He’s been doing this to me since 2007. This is the Faber game. He wants to turn everybody against you and make himself the good guy. He can’t handle being the not liked guy. Cruz and Faber have been rivals since the late-aughts, when Faber choked out Cruz to win the WEC featherweight title. Cruz won a rematch in 2011, outpointing Faber to defend the UFC bantamweight strap and throw fuel on an already adversarial fire, so it is no surprise that the bad blood continues ahead of UFC 199.